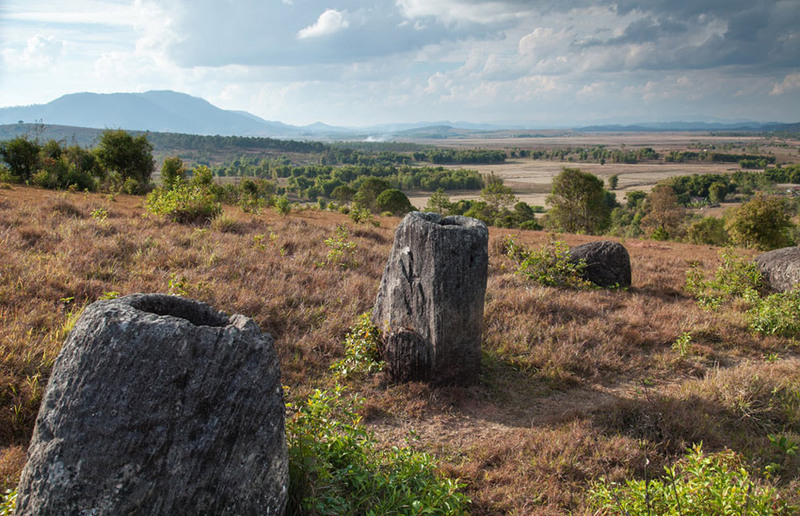 The Plain of Jars, located near the town of Phonsavan, northern Laos, is one of the quietest main tourist attractions we’ve ever been to! Local folk-lore tells stories of giants that created the jars, or that ancient warlords made them to ferment and store rice wine to celebrate a momentous victory… But no one really knows why the mystical jars are there or their purpose. Visiting the Plain of Jars is well worth the time and effort to get actually get to Phonsaven, even if the town itself is tad boring! Passing Through Pakse? Our 'Stay Longer' Mini Guide!